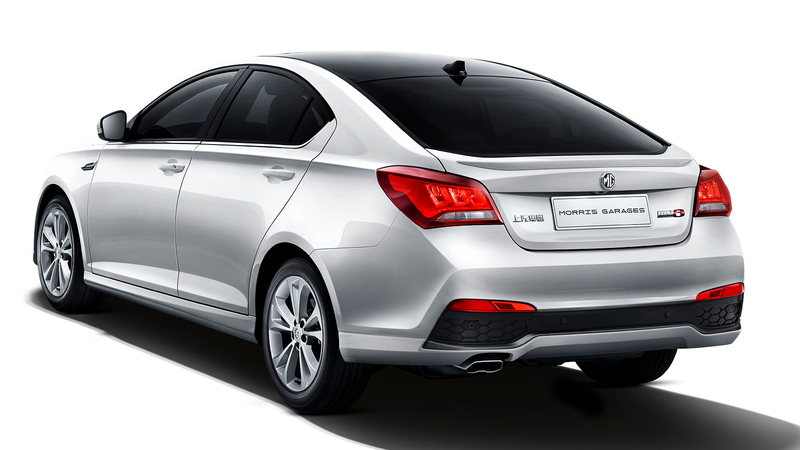 The MG6 Plus fits more in for less. More space, more features, more style and more warranty all for less than the rest. 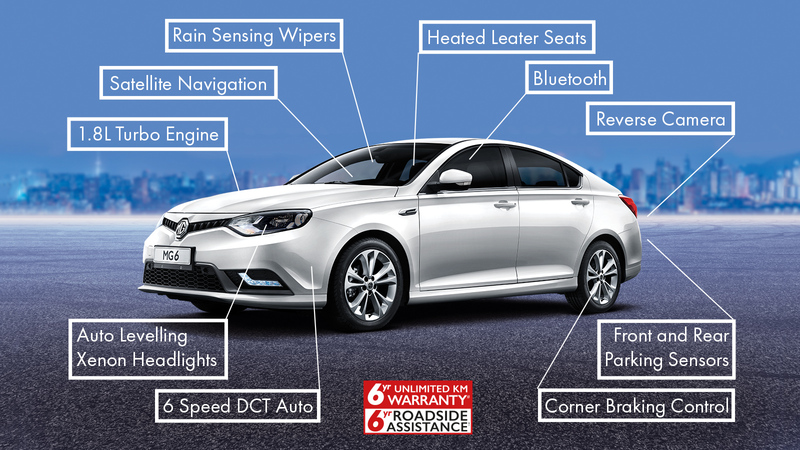 Offering one of the largest and most spacious cabins, loaded with hi-tech extras and backed by a 6 year unlimited km warranty* and 6 years roadside assistance^, the MG6 Plus is the hatch for you. Settle in to the most comfortable cabin in the class. 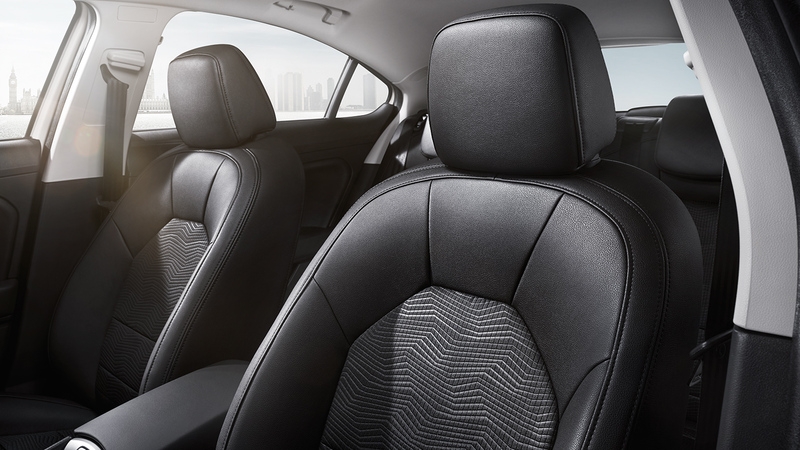 With extra room in all directions, the MG6 Plus also includes luxuries such as 6 way power adjustable leather seats with lumbar support and heating. With a tilt and reach adjustable steering column you’ll be able to find just the right driving position. All will seem right with the wold with dual zone climate control and rear air conditioning vents. 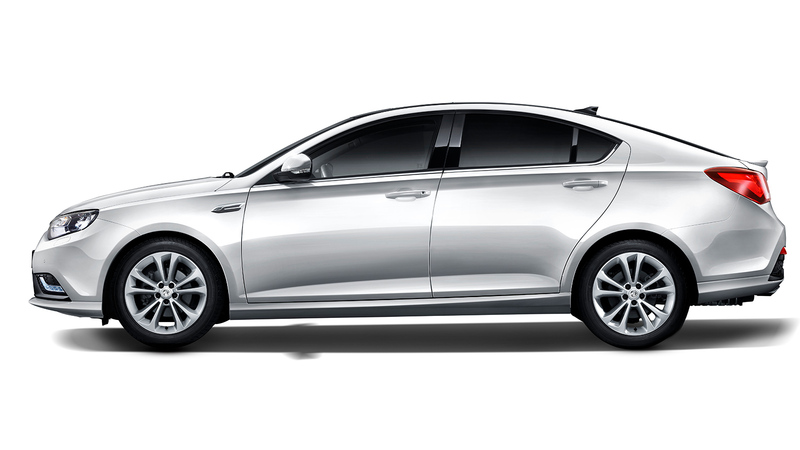 Safety and entertainment come hand in hand in the MG6 Plus. Features include automatic rain sensing windscreen wipers, automatic dimming rear view mirror, cruise control, engine stop start system, front and rear parking sensors, 6 inch touchscreen, reversing camera and satellite navigation. 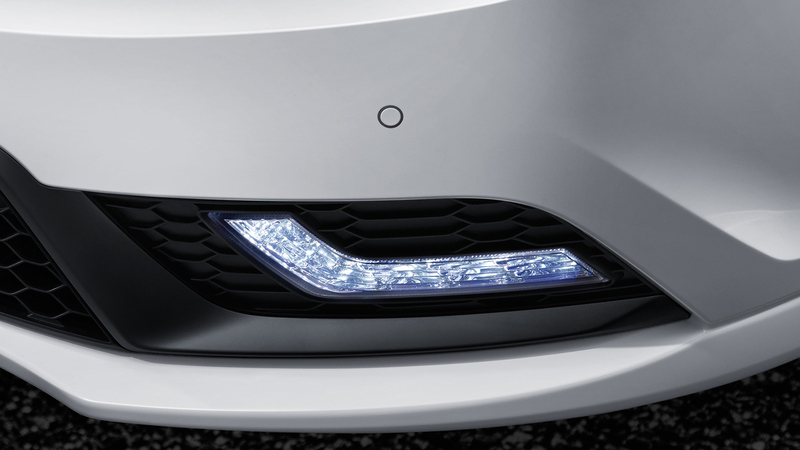 Light up the night with brilliant HID xenon headlamps. Fitted with high pressure spray washers you’ll always be able to see what lies ahead even on the darkest of nights. Automatically activated, they will switch on when your MG6 Plus detects fading light or even entering a tunnel or under cover car park. Be seen, be safe, look great. 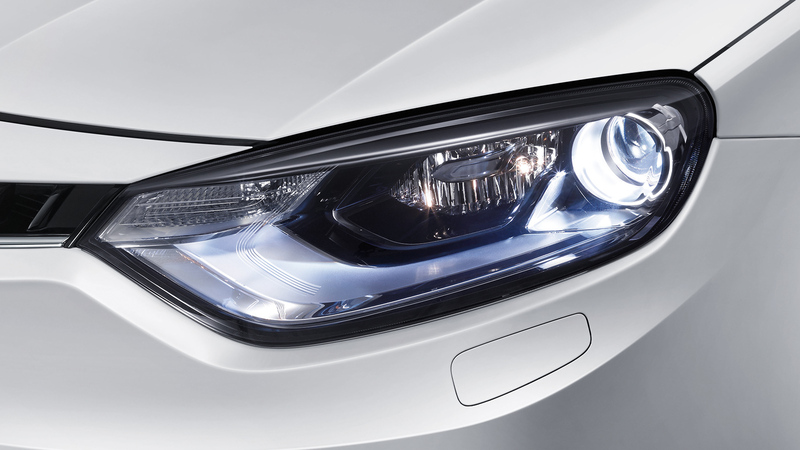 MG signature curved LED Daytime Running Lights (DRL’s) will be automatically on for every journey you make. 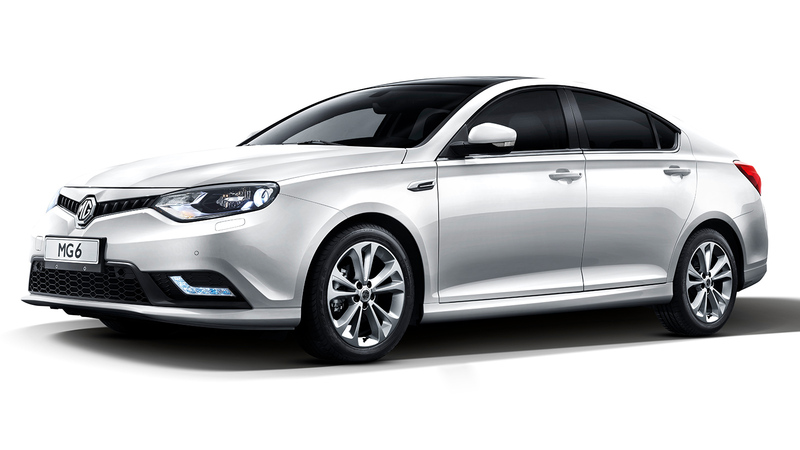 Not only do they let other road users better see you, they beautifully compliment the MG6 Plus’s already handsome exterior. With a massive 429 litres of boot space and the added convenience of a lift back hatch back you won’t have to leave anything behind. Expanding to an enormous 1379 litres with the rear seats folded down you’ll fit almost anything on board. 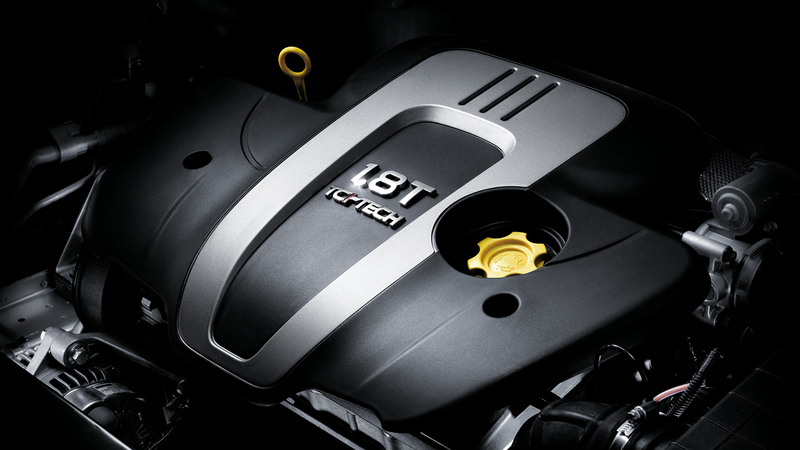 The MG6 Plus packs a 1.8 litre turbocharged petrol engine, one of the most powerful in the class. Delivering 118kW and 215Nm it makes for a sporting drive, backed by a 6 speed dual clutch automatic transmission with paddle shifters. *^6 year unlimited kilometre warranty and roadside assist terms and conditions apply. See full details here.